I was up at 4:00 a.m. to get the latest weather information for our trip across Queen Charlotte Sound and around Cape Caution. Environment Canada called for winds light with less than 1 meter seas. 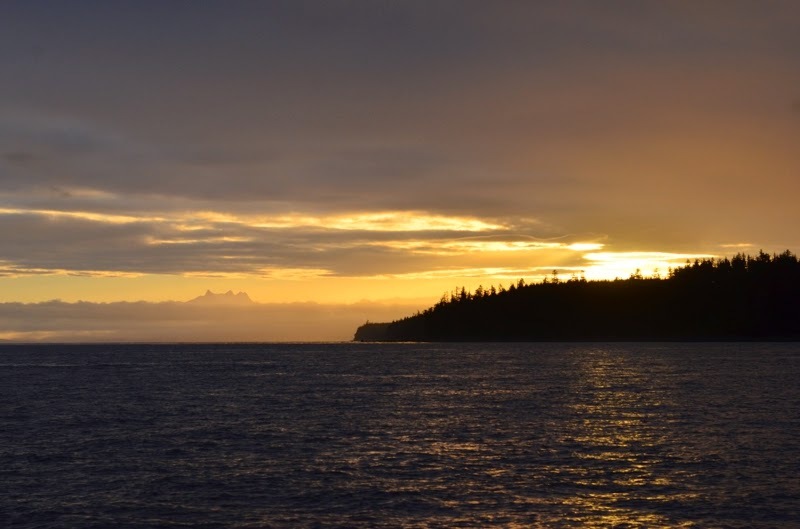 Egg Island and Pine Island, both along our route, reported calm winds, rippled seas, low swells, and good visibility. 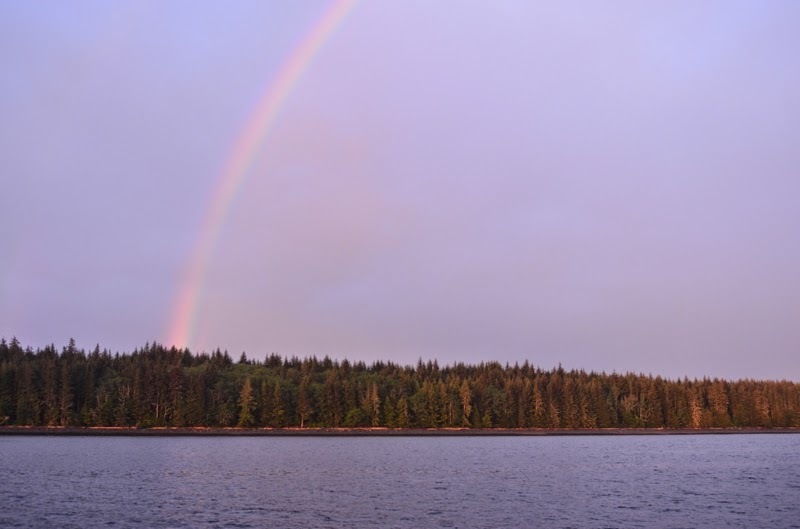 We’d told everyone to be off the dock and ready to cruise by 5:00 a.m., so the group began shoving off the dock around 4:45 a.m.
Queen Charlotte Strait, where we spent the first several hours of our journey, was flat calm. The sun rose over the mainland mountains rather dramatically. As we entered Queen Charlotte Sound the swells picked up. We were certainly moving in them, but not uncomfortably so. 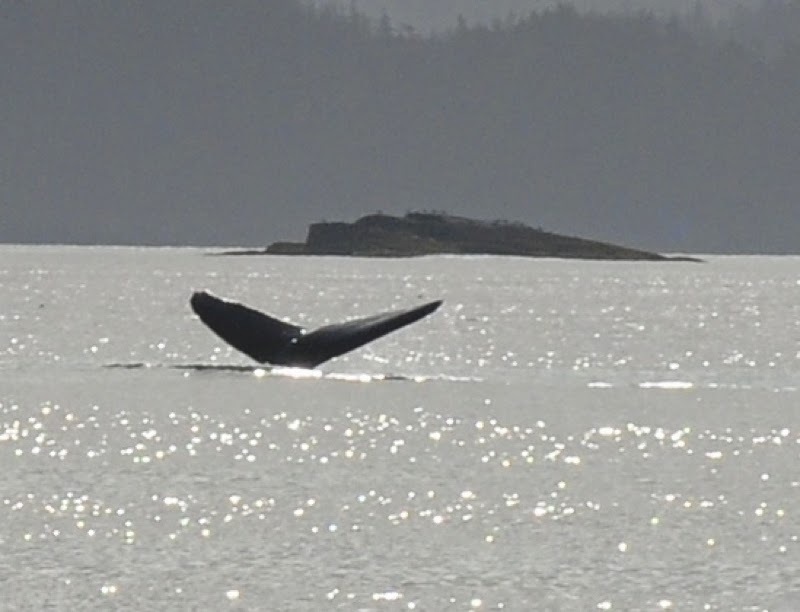 We saw several whales throughout the day, including one humpback breach, but none very close to the boat. By about 3:00 p.m. we were secure in Fury Cove, along with about 5 boats not traveling with our flotilla. 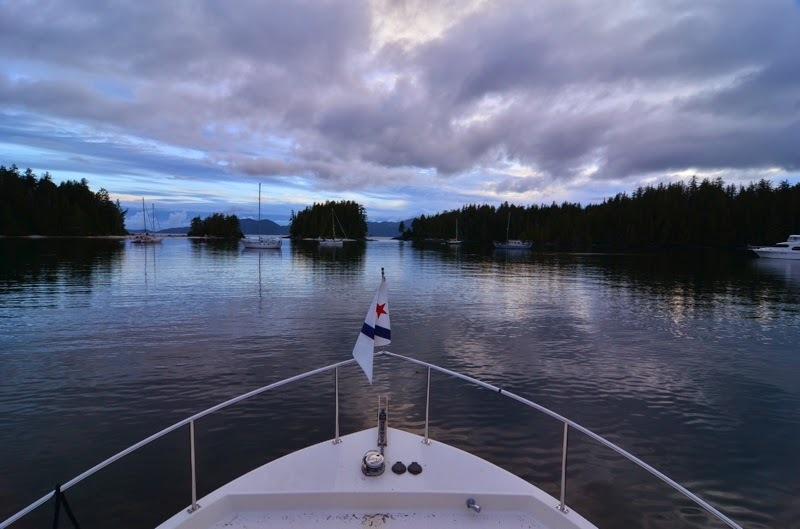 Fury Cove is an absolutely wonderful anchorage, scenic and protected. My only regret was being busy with participants and not able to enjoy exploring more.